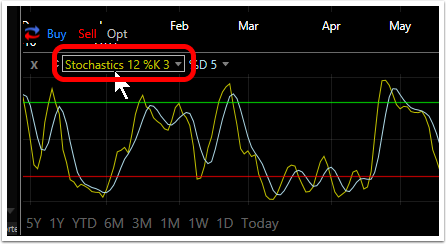 It is easy to add a horizontal line at any value in an indicator. Here are the steps. 4. 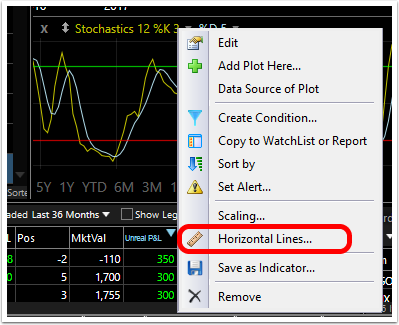 Set the parameters of the line to be added. Click OK when finished. 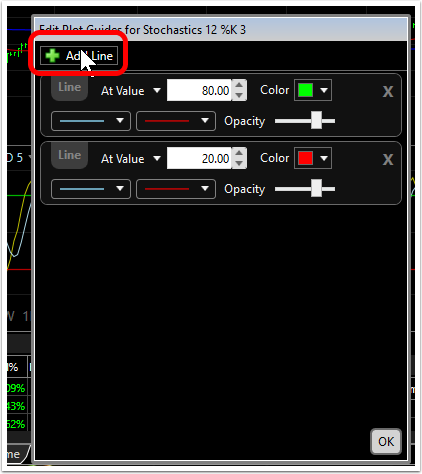 At Value dropdown sets the scale value at which the horizontal will be added. 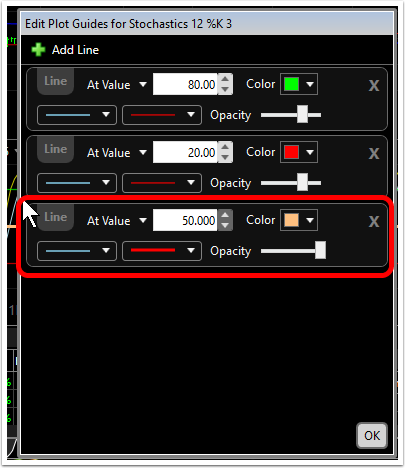 Choose also: line color, style width and opacity.